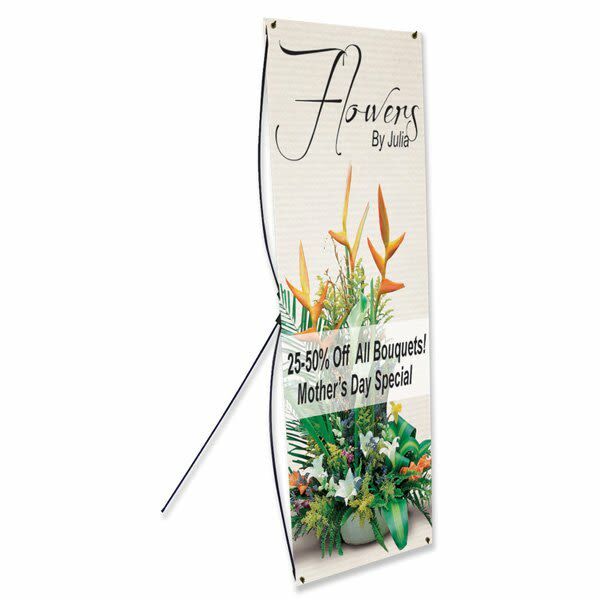 This banner stand is a great way to show off your new company or pop up shop! It features a sturdy and lightweight design that allows for simple assembly. Complete with corner grommets to make setup quick and easy. Your custom color imprint will be printed on both sides of a smooth, reinforced white vinyl banner. Intended for indoor use only. Price includes a full color imprint on both sides. Please call for more information.